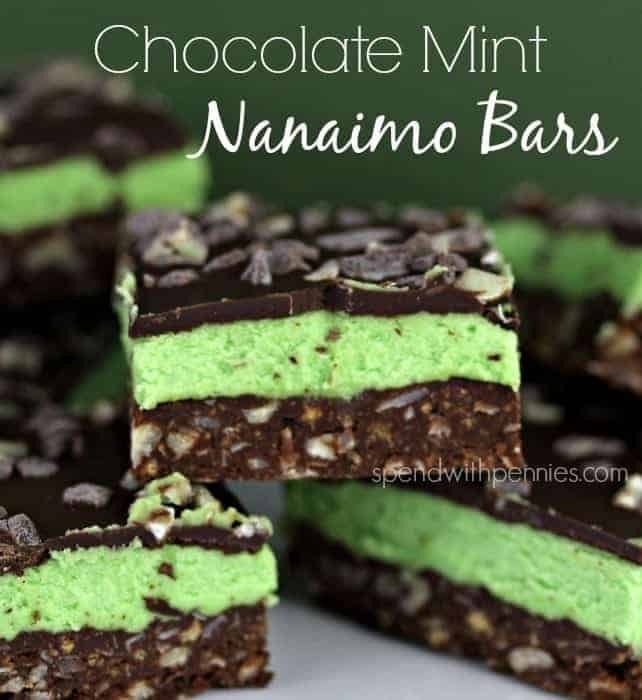 These Nanaimo bars have a great twist combining chocolate and mint! My new favorite way to enjoy them! Nanaimo bars are one Christmas treat that I always looked forward to when I was younger! My mom made them every single year! 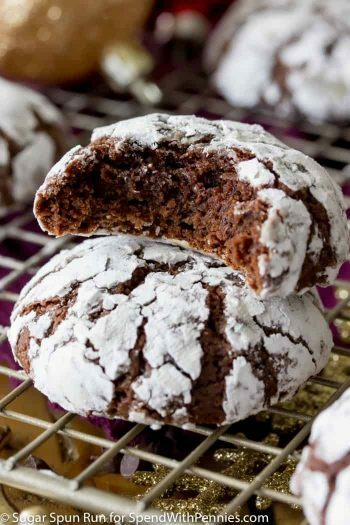 While we always have these around the holidays, they’re actually great any time of year and totally perfect served with coffee!! I thought they’d be pretty challenging to make but they are actually simple! Just layer up the ingredients, refrigerate and cut into squares, easy right? Note: Custard Powder can be found in the baking aisle of your grocery store. This is the brand I use. 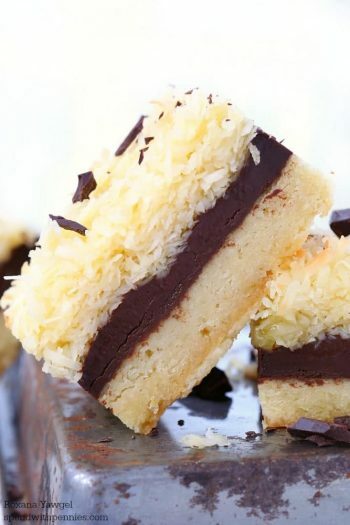 These Nanaimo bars have a great twist combining chocolate and mint! 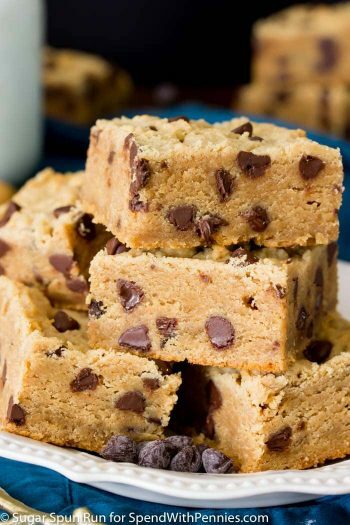 Melt the butter & chocolate chips for the bottom layer in a small bowl. Add graham crumbs, coconut and chopped pecans. Mix well and press into the bottom of the pan. Refrigerate until completely cooled. Beat all ingredients for the mint layer on medium until completely combined. Spread over the cooled base. Refrigerate. Microwave oil and chocolate chips on medium heat until just melted. 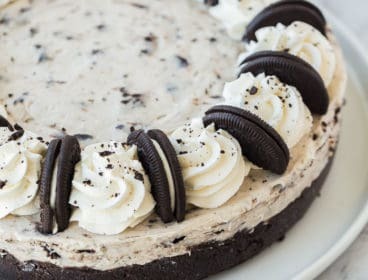 Spread over mint layer. Cool completely and cut into squares. Custard powder is similar to pudding mix and you can usually find it with the puddings. You can also buy it online at Amazon here. 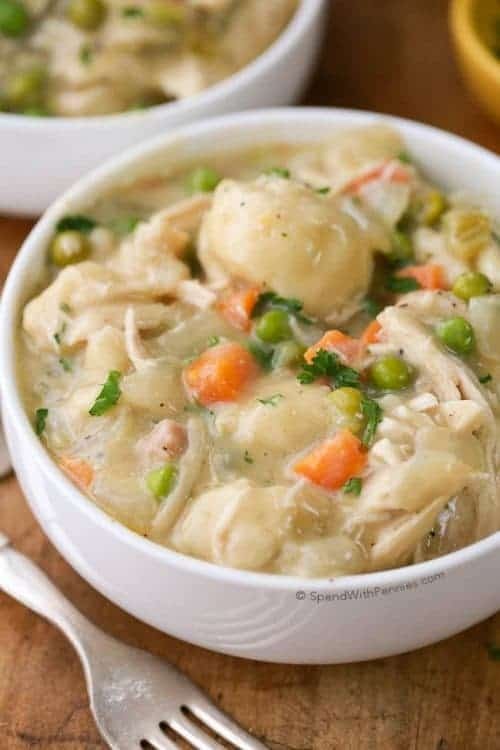 Oh my gosh….thank you for this recipe! I moved to Florida from WA state three years ago. We went to Canada all the time. But I always bought mint Nanaimo Bars from our local grocery store, QFC. They were amazing, but I could never find a recipe for them. I will be making these this year at holiday time. Thank you, thank you!! You’re welcome, I am so glad you enjoy the recipe Marlene! 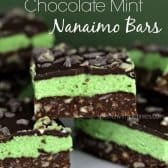 This is my first time making mint Nanaimo bars and this recipe is amazing. 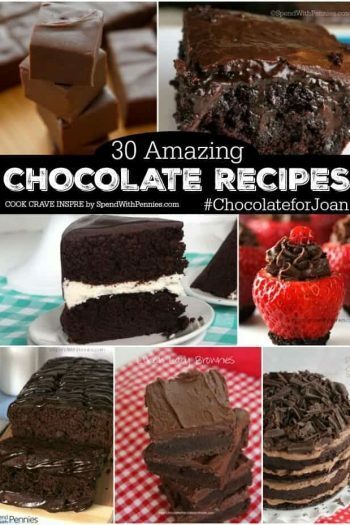 Uses a lot of chocolate but is so worth it. I’m a mint lover and changed the recipe in the slightest but you won’t be disappointed with the end result. A definite must make. 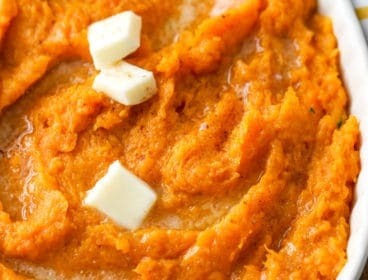 Hey I want to try this recipe soon but are they easily moved or will they fall apart or melt if not in fridge for long? These are the ingredients for Bird’s Custard Powder: Cornstarch, Salt, Artificial Flavouring, Colour (Annatto). If you don’t care about the colour, that leaves you with three ingredients you likely already have (it’s fake vanilla flavouring, so real vanilla extract is not only an acceptable substitute, it will likely taste better). For one tablespoon of Custard powder, you can substitute one tablespoon of cornstarch plus a teaspoon of vanilla extract and a tiny pinch of salt. I really don’t know why anyone buys custard powder! Am planning to make these so thought I’d check out the comments first. Perhaps the reason for the runny middle layer could be that some bakers are putting the chocolate layer on while it is still too hot. I would think that it would have to cool a bit before spreading it on to prevent the butter in the middle layer from melting. Just a thought. The unsalted butter in the custard needs to be softened (not melted) when you are mixing the ingredients together. If the custard is too runny, that might be the issue. 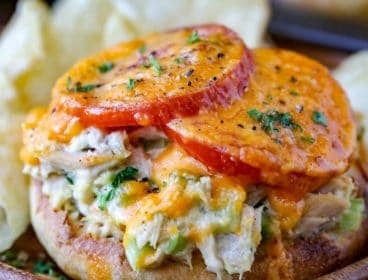 Great recipe, but I had the same problem with the middle layer being too ‘runny’. I tried the recipe again and substituted the custard powder with the cornstarch & icing sugar alternative and it came out the same. I’m fairly new to cooking but I assume the best fix for this would be to add extra icing sugar next time for the middle layer? I thought maybe I didn’t refrigerate it long enough but after putting them both back in the fridge the consistency is still the same. Since it’s mainly butter, it should hold its shape fairly well. 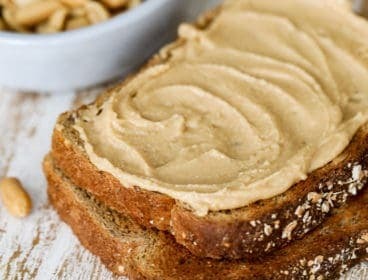 Did you use regular butter (not a light product or margarine)? I can’t say for sure why yours is runny as mine always turns out well. I would suggest adding a little bit less milk if yours is not the right consistency. Made these per recipe (except that I substituted 2 Tbsp of instant vanilla pudding powder for the custard powder). They came out GREAT! Thanks, Holly! Merry Christmas! I’m so glad you loved them Melanie! Merry Christmas to you and your family too! Custard Powder can be found in the baking aisle of your grocery store or online on Amazon. I use Bird’s Brand. What is on top of the chocolate layer? It looks like crumbs of something? I garnished them with Andes Mint Baking Chips. Thank you! I have another question if you don’t mind. I tried to ask one of the ladies above, but no response. Maybe you can help me with this. Did you use McCormick Mint extract or Peppermint? I keep reading such contradicting reviews online as to what’s better. Some say Mint is too strong and they use Peppermint, some say Mint is better, some insist that Spairmint is best. Some people even say that Mint has a medicinal taste to it. Maybe they didn’t bake it right. How did yours taste? It’s the only way to make it right. I would really appreciate your help. What kind of Mint did you use and the amount of the coloring? I used Peppermint extract and it was good. The mint flavor is there but not overpowering. For the green food coloring, I’d suggest starting with a few drops and mixing them in. Continue adding a drop or two until you get the green color you like. Enjoy! I made these today but the middle layer didn’t set properly :( it’s all runny and not the soft consistency of a nanaimo bar. Was I supposed to cook it? Or literally just mix all together, pour and refrigerate? No cooking is required, you could mix everything together and it should be about the consistency of frosting. Did you add the full amount of custard powder? I had the exact same problem and followed the directions and had the same brand custard powder. I made these for my office and my husband’s and they disappeared in a blink. 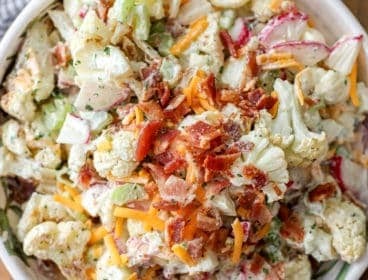 Yummy recipe Holly! Kathy, did you use McCormick Mint extract or Peppermint? I keep reading such contradicting reviews online as to what’s better. Some say Mint is too strong and they use Peppermint, some say Spairmint is better, some insist on Mint. I even saw a chocolate cookie recipe on the back of McCormick Peppermint extract, like they suggest to use it with the chocolate. I don’t want it to taste medicinal, like some people state it does with Mint. Maybe they didn’t bake it right. How did yours taste? Also, how much green coloring did you use? I love anything chocolate and mint. These look great! Thanks for linking up for Friday Favorites. I’m featuring you this week! Saw these on the Flour Me with Love link board and had to check them out. 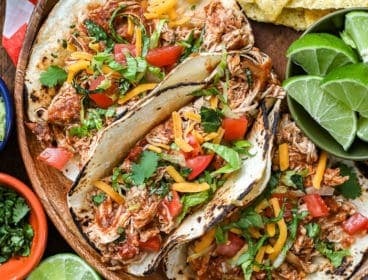 They look so beautiful and sounds tasty!!! Thanks for sharing! These look delicious, Holly! I’ve never used (or seen) custard powder, but I’d definitely comb the grocery for it just to make these yummy green minty chocolatey bars. Yum! Pinning. Its called Birds custard powder and comes in a tin from England. Basically vanilla flavored corn starch. Which everyone who bakes knows is the base of any homemade custards. 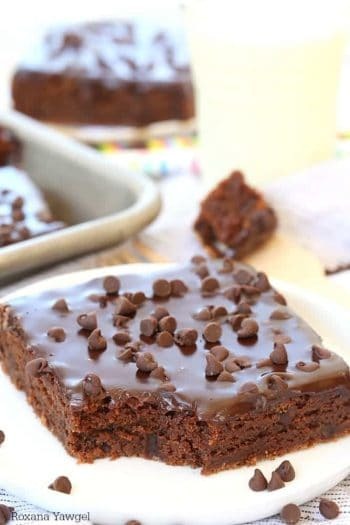 I made these and they are great, but I would just make one change to the topping because it didn’t turn out as it should. So I looked up other recipes and found out that you should use 4 oz of semi sweet chocolate and 2 Tbsp unsalted butter. Also if you can’t find custard powder like me, then use 2 Tbsp cornstarch and 1 tsp vanilla extract, or you can use just 2 Tbsp instant vanilla pudding powder mix. Thank you for the great tips on the custard powder, I know not everyone can find it! It would be nice if you would add these tips for the CUSTARD POWDER ON YOUR RECIPE. I for one, have never heard of Custard Powder, nor would I have known where to look for it. I have included tips where to purchase (and where to find) custard powder in your grocery store or online. While it sounds delicious, I have not tested the suggestion above so I am unable to add it to the recipe. Andrea, maybe u can help me. I keep asking on here but yet no response. What exactly did u use: Mint or Peppermint? What brand? How much good coloring? Thank u! I use McCormick’s Peppermint extract. Hi, can you use vanilla pudding mix instead of the custard mix? Hi Lori , I made a comment below that might help you! 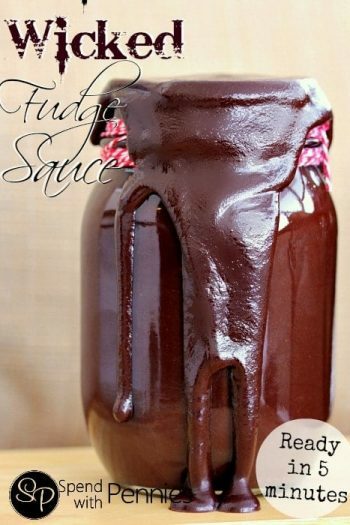 Yes you can use vanilla pudding mix. I did.